Ryder Cup official packages with event tickets, accommodation and transfers. 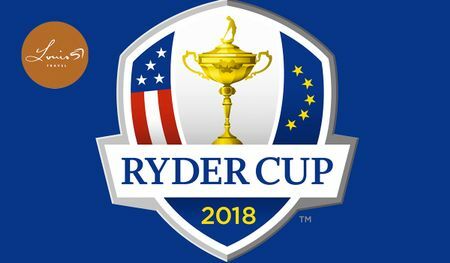 Official package includes the following: 5 nights' hotel accommodation with breakfast daily 4 days standard admission ticket at the Ryder Cup, Thursday to Sunday Return transfers from hotel to golf, Thursday, 27 to Sunday, 30 September 2018 Ryder Cup Gift and Celebration Evening Hotel Price per person PAYMENTS: * 60% down with the reservation * The remainder by March 20th 2018 * Booking made after March 20th 2018: * 100% down with the reservation Prices correct at time of email and are subject to change based on availability at time of booking CANCELLATION: Cancellations must be in writing to and are subject to the following: * Cancellation up until March 20th 2018: 60% cancellation fee * Cancellation after March 20th 2018: 100% cancellation fee (no refund) PACKAGE PP Sharing starts at $ 3 795 USD depending on your selection of our luxury hotel partners ADD-ON: Spectacular: PARIS POST RYDER CUP EXTENSION, OCTOBER 1 TO 4, 2018. 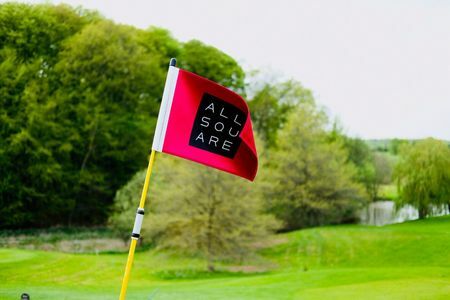 Be the first to follow in the footsteps of the Ryder Cup heroes 2 days after the winning putt. 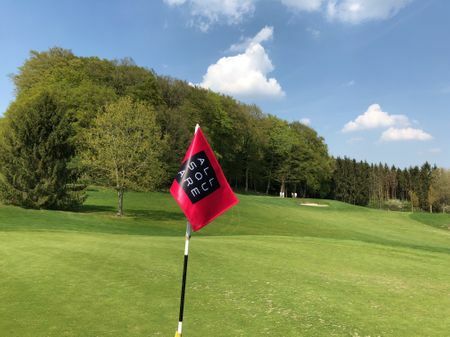 Offer your clients the privilege to be the first to play in Paris the Ryder Cup course in Ryder Cup conditions on Wednesday October 3rd, 2018 as part of this package PACKAGE INCLUSIONS: * 3 nights & breakfast in a twin bedded or double room at the selected hotels * 3 rounds of signature golf with pre-booking of tee times including Monday October 1 : #Les Bordes International rated among the top 3 in France and top 10 in continental Europe, open exclusively for our Ryder Cup clients on this day Tuesday October 2 : #Joyenval, Robert Trent Jones Snr, one of the most exclusive private courses in Paris Wednesday October 3 : #Albatros at Le Golf National, the Ryder Cup course in the Ryder Cup conditions * Electric golf carts at Le Golf National Albatros course * All transfers hotel to golf course * Dinner & wine tasting visit at Paris Wine Museum including return hotel transfer * Daily transportation * Travel book including all travel documents and sightseeing suggestions * Ground assistance and services * All local taxes NOT INCLUDED IN THE ABOVE PACKAGES : * return airport transfers * Meals, except those mentioned above * Drinks, tips and other personal expenses * Electric golf carts (except at Le Golf National Albatros course) * Optional activities for non golfers PACKAGE RATES ARE BASED ON YOUR ACCOMMMODATION SELECTIONS WITH OUR LUXURY HOTEL PARTNERS AND START FROM $ 3 295 USD PP SHARING WITH SINGLE SUPPLEMENT OPTIONS AVAILABLE ON REQUEST AND DEPENDING ON AVAILABILITY AT TIME OF BOOKING. Kindly note that we have additional extended trips pre and post Ryder Cup, in Normandy, Brittany, Bordeaux wine, Biarritz or Provence French Riviera. PAYMENTS: * 60% down with the reservation * The remainder due by March 20th 2018 Booking made after March 20th 2018: * 100% down with the reservation Prices correct at time of email and are subject to change based on availability at time of booking CANCELLATION: Cancellations must be in writing to and are subject to the following: * Cancellation up until March 20th 2018: 60% of the package value cancellation fee * Cancellation after March 20th 2018: 100% of the package value (no refund) PLEASE NOTE THAT FOR ALL PACKAGES RATES ARE QUOTED BASED ON AVAILABILITY AT TIME OF BOOKING. AS THE EVENT OR PACKAGE DATES GROW CLOSER SO THE PACKAGE RATES GET MORE EXPENSIVE DUE TO THE SUPPLY AND DEMAND OF AVAILABILITY. PACKAGE RATES ARE INTERNATIONAL AND MAY BE SUBJECT TO CURRENCY FLUCTUATIONS.